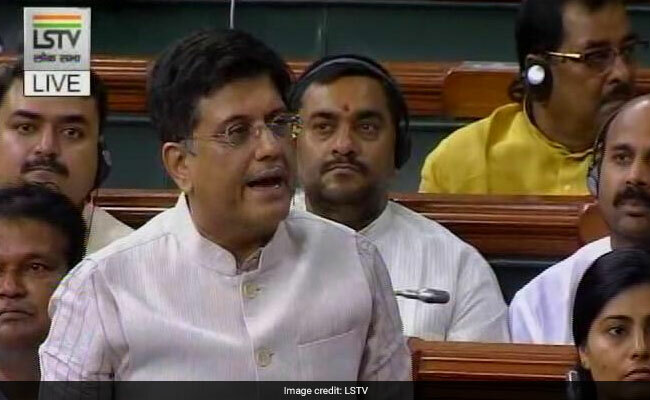 The Lok Sabha today passed a bill to protect gullible investors from ponzi schemes, with Finance Minister Piyush Goyal saying the government will ensure that no loophole is left while framing rules. Replying to a discussion on the Bill, Mr Goyal said out of the total 978 cases of unauthorised deposit schemes, 326 are from West Bengal, which is more than one-third of the total such schemes. "The Government has worked quickly to put an end to such unauthorised deposit schemes. We have ensured that no loopholes are left by using great legal acumen while drafting the Bill. I want to assure the House that while drafting the rules we will ensure there is no loophole," Mr Goyal said. The Bill was passed on Wednesday-- the last day of Budget session -- by a voice vote after short discussion. He also suggested that the Government should ban the use of the word ''chit fund''.